The lawsuit stems from a 2015 investigation by the Public Disclosure Commission. That investigation alleged that during the 2012 campaign season, Eyman improperly transferred money raised for one measure to be used to promote another. The long-smoldering investigation of Tim Eyman hit a flashpoint Friday as state Attorney General Bob Ferguson announced a $2.1 million lawsuit accusing the anti-tax activist of enriching himself with money donated to initiative campaigns. The lawsuit also accuses Eyman of spending money donated for one initiative on a different initiative campaign in 2012. Eyman and Citizen Solutions, a for-profit company, could face at least $1.8 million in penalties over the allegations, Ferguson said. The attorney general is also asking that Eyman return more than $308,000 donated to the two campaigns, and that the courts restrict his role in future political campaigns. William Agazarm, an officer of Citizen Solutions, a signature-gathering firm involved in one of the 2012 campaigns, is also named in the lawsuit, as is Eyman’s corporation, Watchdog for Taxpayers. 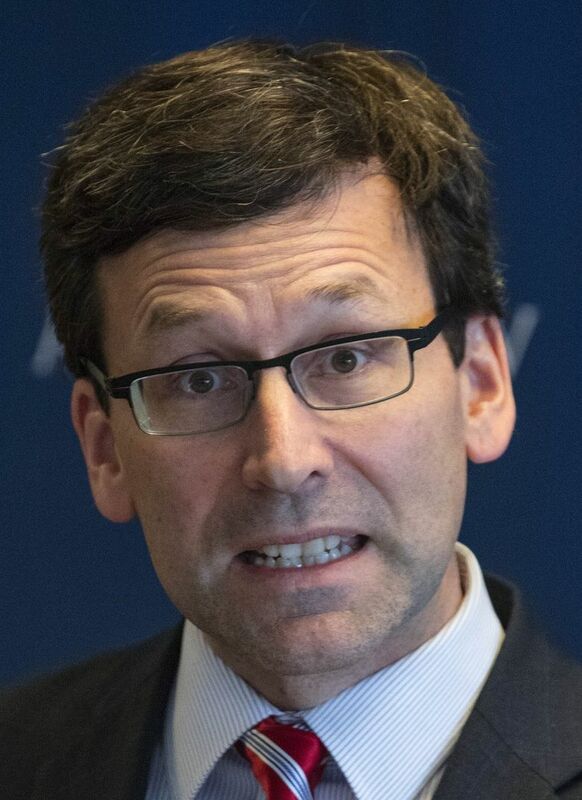 The Attorney General’s Office filed the suit Friday in Thurston County Superior Court. In a Seattle news conference, Ferguson accused Eyman of weaving an “elaborate web of unlawful financial transactions” and said Eyman “personally profited” from those transactions. “These defendants demonstrate contempt for our campaign-finance laws, and they will be held accountable,” the attorney general said. He also accused Ferguson of trying to create a “chilling” effect on Eyman’s activism by seeking to bar him from future political campaigns. Eyman has been a force in state politics for years, proposing numerous tax-limiting initiatives. Ferguson’s lawsuit stems from a 2015 investigation by the state Public Disclosure Commission (PDC). That investigation alleged that during the 2012 campaign season, Eyman improperly used money raised for one measure, Initiative 1185, to advance another one, Initiative 517. I-1185 sought to reinstate a law that required a two-thirds vote of the Legislature to raise taxes. It passed that November, but the state Supreme Court later struck it down. I-517 aimed to strengthen the power of initiative groups. Ultimately unsuccessful, it would have prohibited interference with signature gatherers, and given campaigns an extra six months to gather signatures. That campaign season, Voters Want More Choices, an organization in which Eyman is an officer, paid the company Citizen Solutions $623,000 between April 2012 and July 2012 to gather signatures for I-1185. That July, Citizen Solutions paid $308,000 to Eyman and his company, Watchdog for Taxpayers. Records state that Eyman took about $190,000 of that money and lent it to another group, Citizens in Charge, which was promoting I-517. Contributors to I-1185 included the Association of Washington Business and the Washington Food Industry Association, which represents grocery stores. Those groups did not intend for their money to be used for I-517. The food-industry association feared that I-517 could lead to harassment of grocery-store shoppers by signature gatherers. Meanwhile, Eyman kept the rest of the $308,000 — about $118,000 — to go toward personal expenses for himself and his family, according to records. Neither the $308,000 payment to Eyman nor the $190,000 payment he made to Citizens in Charge was reported to the state, according to records. Ferguson’s lawsuit also alleges that Eyman didn’t consult with the other officers of Voters Want More Choices on many of the financial decisions between that group and Citizen Solutions. After releasing its investigation in 2015, the PDC voted unanimously to refer the case to the Attorney General’s Office. That decision was made after PDC staff said penalties available for the commission to assess were too small for the allegations. 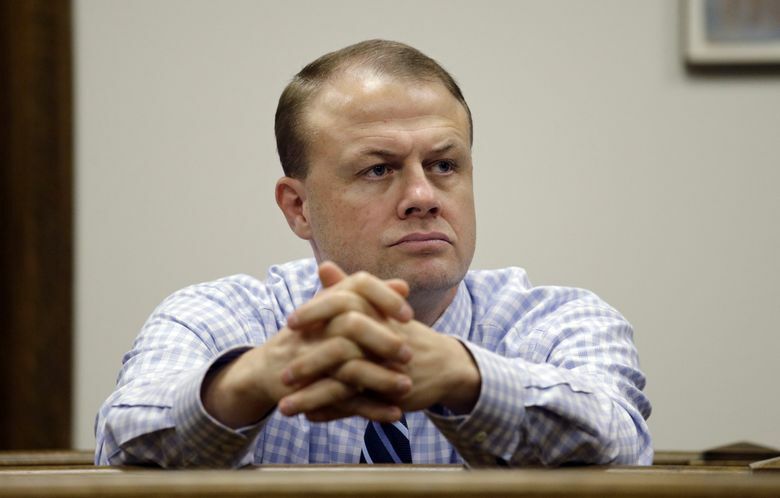 The AG’s investigation stalled when Eyman refused to hand over documents sought by the state. At the time, Lamb said Eyman was reluctant to turn over records that might become public and grist for the anti-tax activist’s opponents. But a Snohomish County judge last June ordered Eyman to comply with the Attorney General’s Office subpoenas demanding financial and business records. A more recent investigation, stemming from a May 2016 complaint, alleges spending and disclosure violations surrounding videos made by a different Eyman campaign.